Maps of New Jersey are an invaluable part of genealogy and family history research, particularly in case you live far from where your ancestor was living. Due to the fact New Jersey political borders often changed, historic maps are generally significant in assisting you uncover the precise location of your ancestor’s home, exactly what land they owned, exactly who his or her neighbors were, and much more. Maps of New Jersey generally are likely to be an exceptional resource for starting out with your own research, simply because they provide considerably useful information and facts quickly. 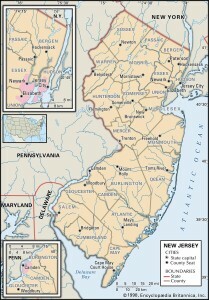 New Jersey Maps can be a major resource of important amounts of details on family history. States the border New Jersey are New York, Pennsylvania and Delaware. The 10 largest cities in New jersey are Newark, Jersey City, Paterson, Elizabeth, Edison, Woodbridge, Lakewood, Toms River, Hamilton and Trenton. 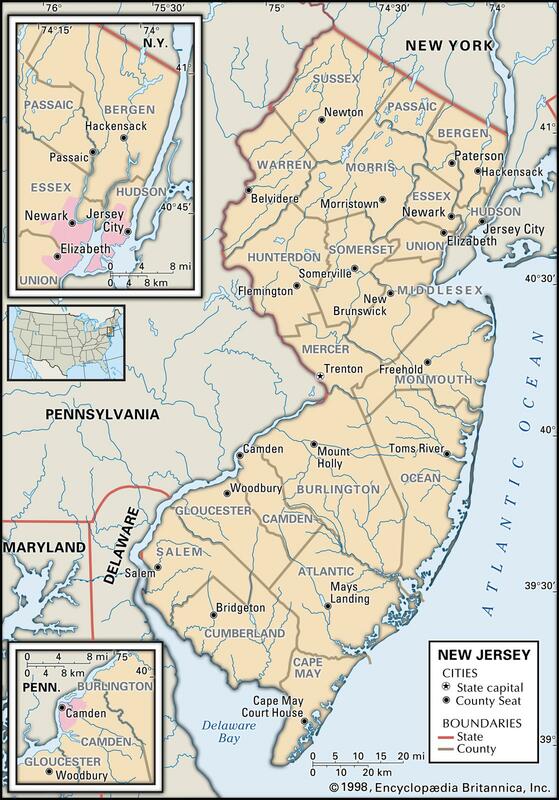 Learn more about Historical Facts of New Jersey Counties.